I never liked deep-frying. It always seemed like a huge production. So much oil. Such a mess. Having to clean the stove after it was over. I avoided it for years. But then there was that day a few years ago when I made onion pakora according to instructions from Rashmi of YumKid. Such sizzle! So crispy! And I remembered: Fried food is downright delicious. These broccoli fritters are worth the spent oil and the mess. Use leftover cooked broccoli or take a shortcut with frozen chopped broccoli. Either way, you'll be glad you did. 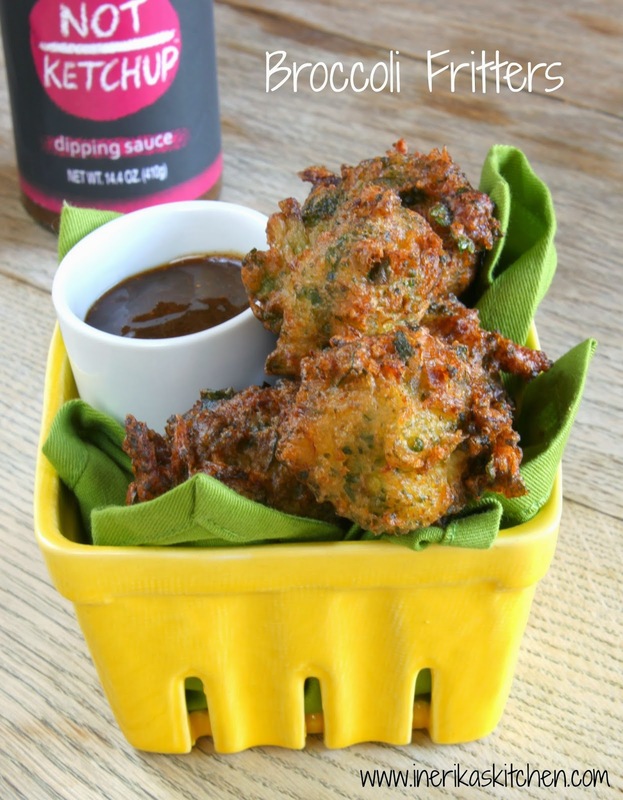 By the way, these broccoli fritters would be perfect for Hanukkah, also known as The Festival of Fried Food. I served them with Not Ketchup, but a lemony aioli would work too. Note: If you really don't want to deep-fry, use a skillet and form the batter into pancakes, using about 2 Tablespoons of oil in the skillet and 1 Tablespoon of batter for each pancake. In a large bowl, mix together the baking mix, egg, milk, garlic salt, pepper and hot sauce; the batter will be thick. Fold in the broccoli and green onions. Heat the oil in a deep medium-sized saucepan until the surface shimmers. Using a small spring-loaded ice cream scoop or two spoons, drop about 1 teaspoon of batter into the oil for each fritter. Fry until golden brown; drain on a rack set over a sheet pan or on a plate lined with paper towels. 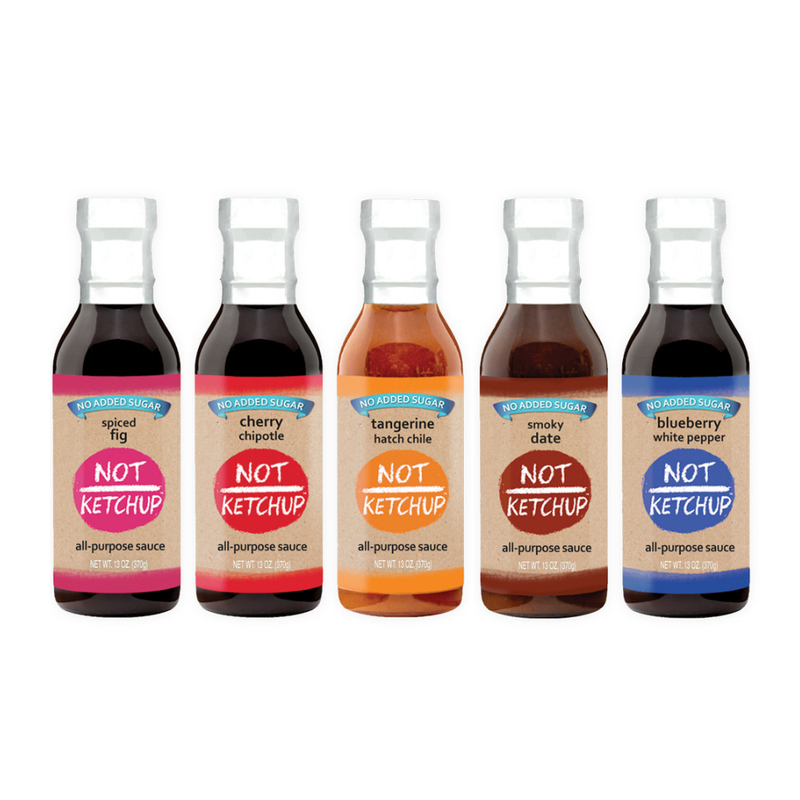 Serve warm with your favorite flavor of Not Ketchup for dipping. You are the best. I get excited every time I get an email from you Ms. Erika!